‘I Have A Dream’ is the story of 20 idealists who think and act like entrepreneurs. They are committed to different causes, but they have one thing in common: a belief that principles of management can and must be used to achieve a greater common good. These stories say one thing loud and clear change starts with one person, and that person could be someone next door. Someone like you. 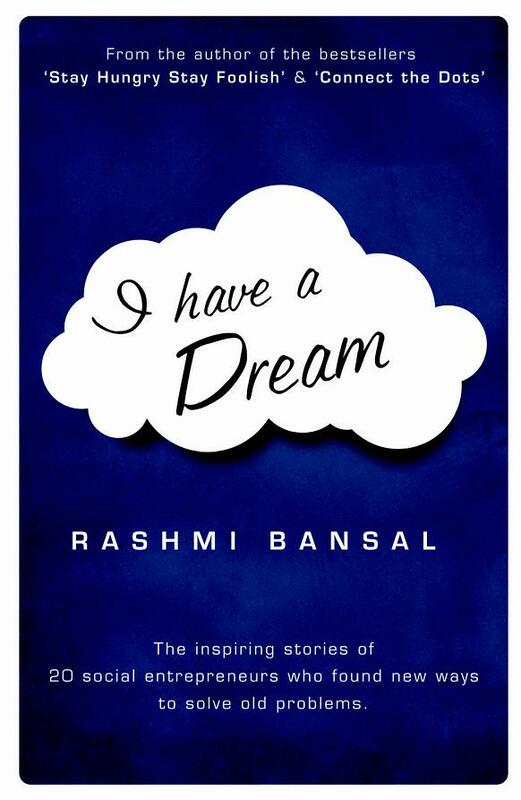 For a generation thriving on relentless pursuit of selfish goals, Rashmi Bansal’s “I have a Dream” comes as a reminder that life is much more than just one’s own world. The book chronicles the lives of twenty people, who took a step towards bringing happiness in the lives of millions, but not in the usual charitable ways. They took the ideals of a business complete with profit motive and turned them into tools of betterment of the society. They are all, what can be termed as ‘social entrepreneurs’. I am no stranger to Rashmi Bansal’s writing, having been a regular reader of her blog “Youth Curry” and also both her previous books “Stay Hungry Stay Foolish” and “Connect the Dots”. In her usual inimitable style of writing, she describes the different obstacles that the twenty entrepreneurs braved to stay on their chosen path. The book is divided into three sections – Rainmakers, Changemakers and The Spiritual Capitalists. Rainmakers is about social enterprises which generate revenues but where profit is not the primary motive. This section has some very interesting stories behind enterprises which have taken the object of doing good and has built a successful business around it. 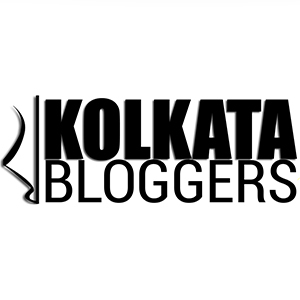 Some of the stories which left an impact on me are the ones about Bindeshwar Pathak, the man behind Sulabh International who despite being a Brahmin himself had the compassion to do something for the scavengers, Sumita Ghosh who established Rangsutra after her husband was murdered by the ULFA terrorists and changed the lives of rural women, Anand Kumar, the Maths tutor of Super 30 whose tenacity had seen all 30 of the poor, meritorious students of his class crack the IIT JEE in 2008 and Druv Lakra of Mirakle Couriers which employs only deaf people. Their stories, along with the others in this section like Conserve India, Aavishkaar Social Venture Fund, DesiCrew, Spiti Ecosphere, SELCO, Pipal Tree and Project Chilka have been narrated by the author in such vivid description that they are sure to tug your heart and inspire you to reach out to the underpriviledged masses just like them. Changemakers is about people who took a small step towards their dreams, which became a revolution in itself. The two most astounding stories are of Madhav Chavan, founder of Pratham who made it his life’s mission to see every children of this country educated and that of Anshu Gupta, whose simple idea of providing clothes to the poor morphed into what is now known as Goonj. This section also has stories behind the formation of the Association for Democratic Reforms , Akansha, Parivartan and Blind Person’s Association which are bound to motivate one to think in the same way as them. Spiritual Capitalists has stories of individuals who are guided by a supreme purpose in their mission to do good. The most inspiring story for me was that of Madhu Pandit Dasa who leads Akshay Patra, the world’s largest mid-day meal program. From being a student of IIT to turning suicidal to finally turning to Krishna for all his answers, this man seems to have been destined for mitigating the hunger of thousands of children. Vinay Lokhani of Parivaar Ashram and Shreesh Jadhav of Belur Math are the other stories in this section where the Supreme Cause has merged with the causes of the people. The book is in the same format like her previous two books – it’s written as if she was transcribing her interview with the people. Some of the stories have too many details, which sometimes lost me completely. Finally, I have one serious complaint in the department of language. She uses too much Hindi at places. May be it is done to keep intact the words of the people, but that really restricts a reader. Even for me, who knows Hindi (even though it is not my mother tongue), I found such excessive usage of vernacular language not conducive for an easy read. There are some spelling and grammatical errors which could have been avoided with more careful editing. In conclusion, I will recommend this book to anyone, whether or not he has an interest in social entrepreneurship, because the book shows that anyone has the power to take up a cause and make the world a better place to live in. ← What happens to a country with a lawyer-heavy economy?